It is a truth universally acknowledged that a batsman must not lose his wicket in order to score. 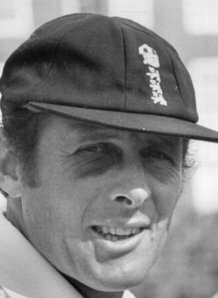 As the venerable Sir Geoffrey Boycott often reminds his listeners, “yer can’t make runs when yer back in t’hutch”. Your correspondent was minded of this maxim as Grantchester travelled to Thriplow (pronounced trip-low), a weather enforced last minute change of venue notwithstanding, and were inserted on a remarkably good pitch to face the wiles of a Thriplow Development XI. Andersen and Stafford opened the innings, Andersen’s circumspect approach to the batting craft the perfect antidote to AP’s swashbuckling style. The former was still in single figures when Stafford, bombarding his way to 49, attempted one lofted shot too many. And so the innings unfurled. Andersen at one end, watchful, playing the percentages, defensive on the stumps, choosing the right ball to display his array of cover drives. This was a batsman who clearly valued his wicket. At the other end, batsmen came and went with alarming regularity, all too eager to begin playing shots before truly gauging the pace of the wicket or the threat posed by the opposition’s bowlers. Notable performances by the opposition included the bowling of Chloe Watrasiewicz, who ripped out the Grantchester middle order of Grant, Woods and M. Jones for not many, returning figures of 3-26 from 5 impressive overs. Indeed credit must be given to the entirety of the Thriplow attack, in particular how well for such a young side they acquitted themselves in the field. 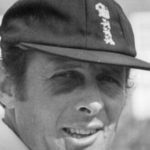 Still Andersen remained, now the cover drives a thing of distant memory as fatigue took hold, nurdled singles becoming his main source of runs; a vision of Graham Thorpe’s test career in miniature. Late order counter attacks from Myers (19) and Jake Jones (21) pushed Grantchester’s score towards a defendable total, and the innings was closed at the end of the 35th over on 184 for 9. The doggedness of Andersen, standing like a stone totem in the sea, indefatigable to the elements, was rewarded by a 49 not out, perhaps the second cruellest score in limited overs cricket. After tea, Thriplow began their reply and were soon behind the run rate, pegged back by some excellent opening bowling from M. Jones and, in particular, Jake Jones (no relation). Jake was causing the batsmen all kind of problems with his extra pace, and it was no surprise when the first wicket fell to him; Tinkler mistiming a pull and succeeding only in spooning a catch to midwicket. The first bowling changes brought more wickets, as first skipper Howe dabbed one to short extra, and then Spotswood, after an impressive 20, trying too hard to regain run rate parity, was run out after good work in the deep from debutant Brannagh. A counter attack down the order from the purposeful Bloom (18) was curtailed when he was bowled by F. Wilson, his first of two wickets, and tidy bowling also from Woods (2-14) and a first club wicket for Grant (1-7) ensured that the outcome of the match was never in doubt. Thriplow were all out for 108 in 28 overs and no doubt were left rueing they did not have an opener who would carry his bat and whom they could build their innings around. As Sir Geoffrey would say, “it’s all about partnerships, is that”. Speaking of which, our thanks must go to Thriplow for being such excellent hosts. Also thanks to Sarah for scoring and Ben Travers for his extra-long umpiring stint. Grantchester remain unbeaten for the season, next stop our annual tour match to Stiffkey.